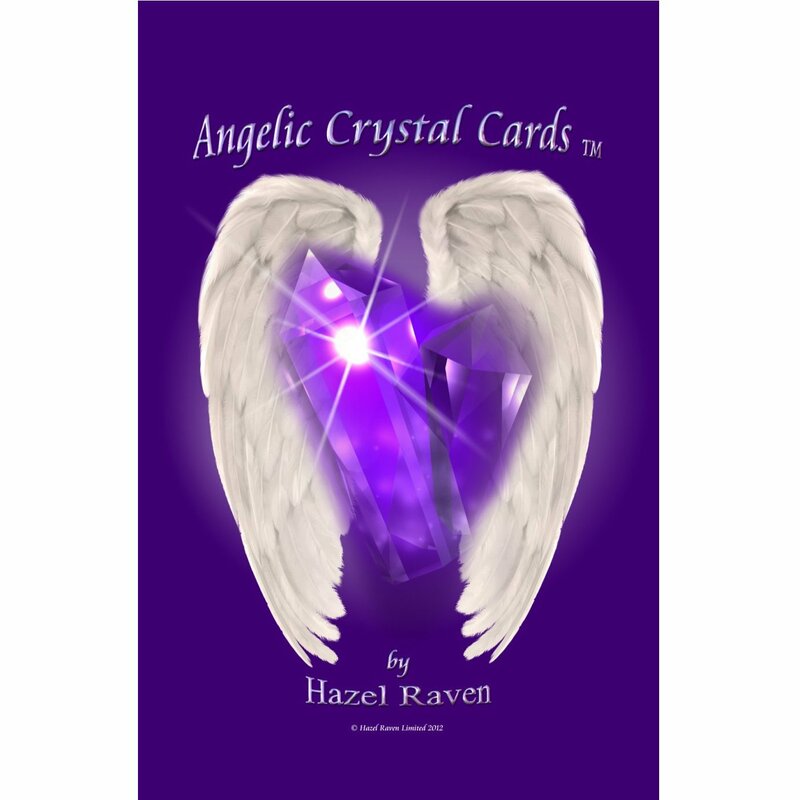 Angelic Crystal Cards By Hazel Raven. This beautiful 44 card deck can be used for contemplation, meditation, divination, crystal therapy or angelic guidance. These inspirational cards will give you angelic wisdom and crystal guidance for your life. 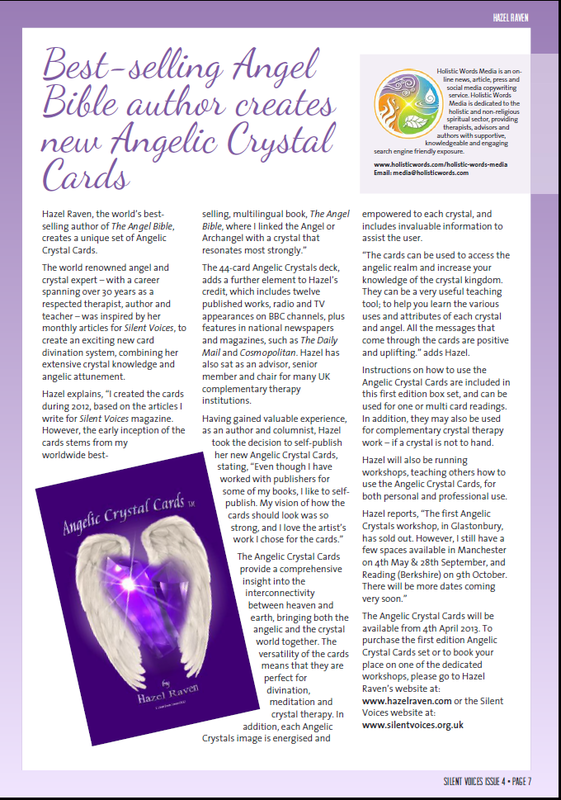 These cards are also very useful as a teaching tool and will help you learn the various uses and attributes of each crystal and angel. 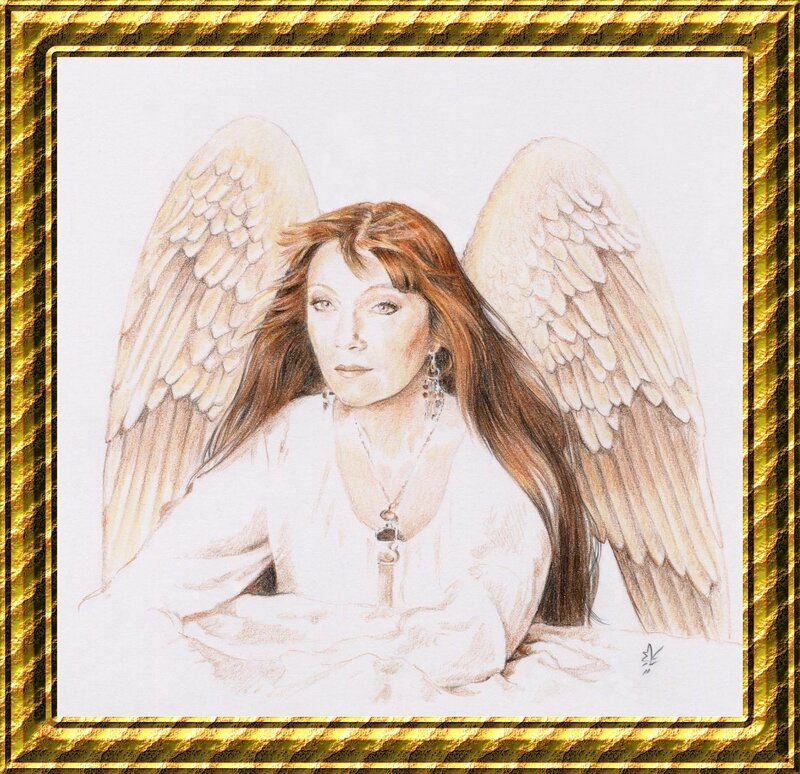 Hazel Raven is an internationally known successful Mind, Body, Spirit author, teacher and workshop leader, with over 12 books to her credit, including the best-selling Angel Bible. She is a qualified tutor and therapist with over 30 years’ experience. Hazel has appeared on television, radio and in numerous magazines and newspapers. Hazel writes a regular column for Silent Voices Magazine. Hazel Raven is the Principal of the HRCB - Hazel Raven College of Bio-Dynamics, a member school of the ACHO - Affiliation of Crystal Healing Organisations and the CTC - Crystal Therapy Council and producer member of BAFEP - British Association of Flower Essence Producers. This is my first set of divination cards; I hope you enjoy using them as much as I enjoyed creating them. I energised each card image with the each crystal to empower them even more for using in crystal therapy.